The Singapore Attorney General recently announced that, as part of a resolution led by the United States Department of Justice, Keppel Offshore & Marine Ltd was served a conditional warning in lieu of prosecution for corruption offences punishable under the Singapore Prevention of Corruption Act (PCA) section 5 and ordered to pay over US$105 million to Singapore. 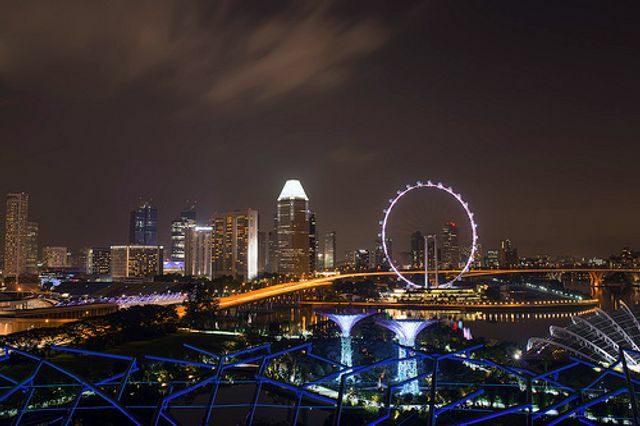 This case represents the first such joint corporate resolution by Singapore authorities, and it likely signals the future of corporate crime investigations there. For some time, Singapore has considered, but declined, to adopt any overt deferred prosecution regime, following neither the example in the United States where deferred prosecution agreements exist purely as a form of prosecutorial discretion, or the example in the United Kingdom where such agreements are founded on legislative powers and subject to court oversight. Given both the policy and legal preference in Singapore for holding responsible individuals accountable, as opposed to charging corporate entities themselves, it has not been clear that a deferred prosecution regime was really necessary. However, as Singapore has continued to increase cooperation with overseas authorities, such as the United States, on global investigations, the pressure and necessity to join in global resolutions was inevitable. Singapore has, at least for the time being, decided to follow the US and use prosecutorial discretion as a means for achieving such a resolution. Singapore’s choice of a conditional warning as a means for imposing such a massive voluntary fine is an unusual one. Singapore has a long history of issuing 'stern warnings' in lieu of prosecution as a form of prosecutorial discretion under the Attorney General’s Constitutional powers, and that practice is currently not governed by any statutory provisions. A recent High Court decision held that such warnings are not binding because they do not affect any legal rights, interests or liabilities, and authorities do not need the consent of the offender to issue such warnings. 'Conditional' warnings, on the other hand, developed approximately ten years ago as a means for dealing with cases of minor offences and other cases where the conduct was at the margins of potential criminal charges. Conditional warnings have usually included the condition that the offender remain crime free for a period of time, usually one year, or else authorities reserve the right to prosecute the offender for the original offence as well as any fresh charges. It has been assumed that conditional warnings do require the consent and acquiescence of the offender before they may be imposed. Conditional warnings have, at times, included the requirement to pay restitution or to return stolen property, but nothing on the order of the voluntary payment by Keppel. It is truly a surprising development in the law. The AG stated that, in issuing the conditional warning, consideration was given to: substantial cooperation, self-reporting to Singapore authorities (not just US authorities), and to the extensive remedial measures taken. These factors clearly mirror developments in both the United States and United Kingdom on corporate deferred prosecution resolutions. This move by the Singapore AG reflects an emerging trend towards alternative means of disposal of corporate criminal cases that include leniency agreements in Brazil, a DPA regime in France, and consideration of similar such regimes in Canada and Australia. Update: Following the publication of this post, on 15 January the Singapore Minister of Law announced that the government will introduce, in the first half of 2018, legislation to create a DPA regime in Singapore. The regime will likely follow the UK model in that DPAs will require High Court approval. Singapore has closely followed English common law and adopted the 'Identification principle' of corporate criminal liability, although with some slight variations in the common law allowing for liability for acts within the scope of a management function and variations for liability imposed by statute. At this time, it is unclear if this is a policy preference going forward, or the result of necessity because there wasn’t time to enact new legislation. Wham Kwok Han Jolovan v AG  SGHC 324. Note that this is similar to the origins of deferred prosecution resolutions in the United States, which originated as a means for sending juvenile offenders to rehabilitation. Note that the statutory penalty for the Prevention of Corruption Act section 5 offence is S$100,000 for each act of corruption. There is also a provision allowing an additional penalty equal to the amount of the bribes.